We should have seen the writing on the wall earlier. The eRoadRacing series cut its ties to its Australian arm before the start of the end of the 2012 season, and there are strong rumors it will be announcing plans to focus its efforts solely in Europe for 2014 and beyond. 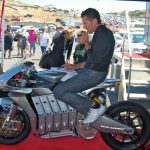 That rumor is strengthened by Arthur Kowitz, an eRoadRacing competitor in 2013 who has created a new playground for American e-bike racers — the U.S. eMotoRacing Series. 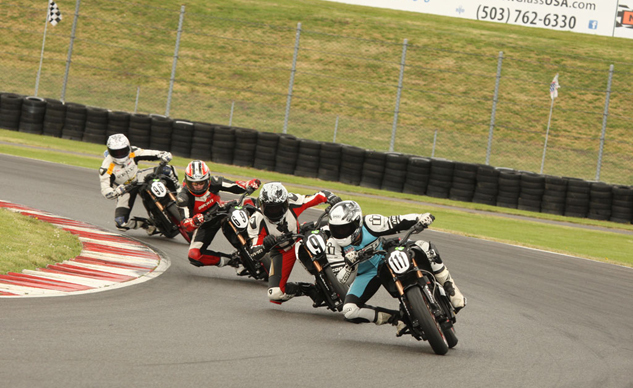 Held in conjunction with the American Historic Racing Motorcycle Association (AHRMA), races will be held at many of the nation’s finest racetracks like Barber Motorsports Park, Daytona International Speedway, Grattan Raceway, Miller Motorsports Park, New Jersey Motorsports Park, NOLA Motorsports Park, Road America, Roebling Road Raceway, Sonoma Raceway, and Willow Springs International Raceway. 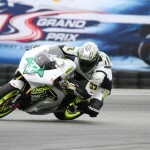 Much like traditional gas-powered racing, the series will be split into two classes, the eGrandPrix class for 100% prototype machines from companies like Motoczysz, Lightning and Brammo, and the eSuperSport class, aimed at production-based racers and race-prepped, electric-powered street bikes. Currently, the two most popular entries for this class are projected to be the Zero SR and Brammo Empulse TTX. Both classes give participants the opportunity to showcase and develop new technologies, while enjoying relatively affordable racing.